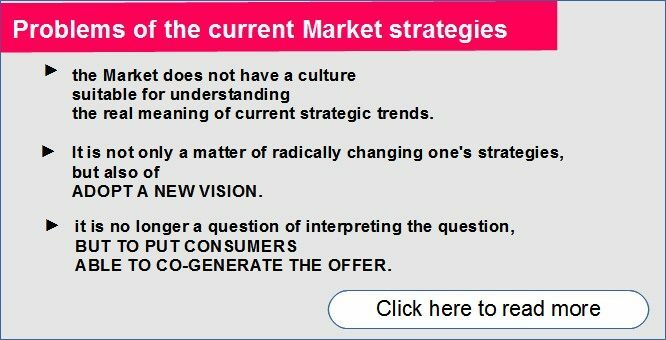 the real meaning of current strategic trends. In this way the great Players have lost their focus on the real needs of people (on real Demand), and have entered into crisis. 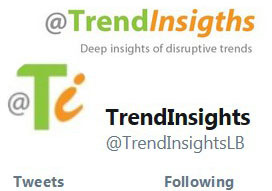 The “experts” talk a lot about fundamental trends, but none of them tries to understand their real meaning; and then how these trends should be applied to their strategies (for example, the “Crowdsourcing” trend is applied in top-bottom mode, when it is basically bottom-up). to grasp the needs of the public. It is necessary to take a step back before developing new strategies. ● first of all to bring the Business back to its original operating conditions (a few decades ago): to bring it back to the “substantial” dimension, ie to bring the business back to being a system for satisfying people’s real needs. ● then develop new strategies based on the trends that have developed spontaneously in recent decades (but being able to interpret them according to their real meaning, and not in an equivocal way as it happens today). “Technically” it is necessary to recover “the Principle of Demand and Offer. in the processes of creation and distribution of the product. ABLE TO CO-GENERATE THE OFFER.